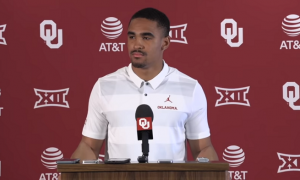 On Sunday afternoon, new Oklahoma defensive coordinator Alex Grinch held his introductory press conference talking to reporters, news stations, you name it. Now I could regurgitate what just about every reporter did by using headlines with the words “Aggressive”, “No excuses” or just about any other coach speak phrase in the book. While all those headlines might look nice and shiny, at the end of the day, what Alex Grinch does is the most important thing. Now I am not completely going to disregard everything he said but until August 31st (First game of the 2019 season), I am going to have to see it to believe it so to speak. But for right now, the 2019 Oklahoma defensive staff appears to bet completely set. Grinch will have four defensive assistants by his side that includes two new coaches and two coaches that will remain on staff. As it stands, here is the full staff for the Oklahoma defense. Defensive Line: Calvin Thibodeaux– Calvin has been coaching the defensive line for Oklahoma since the 2016 season and there is no question that is an elite recruiter since taking over the defensive line in Norman. Calvin has been able to reel in guys like Ronnie Perkins and Ron Tatum back in the 2018 class and Marcus Stripling and Marcus Hicks this year just to name a few. It was any easy decision to keep him on staff. Inside Linebackers: Brian Odom– Not only is Brian an Oklahoma native but he also was apart of that 2000 national championship team for the Sooners. Brian spent the 2017 and 2018 season as the outside linebackers coach at Missouri and prior to that was a defensive quality control assistant at Washington State from 2015-2016. He also spent some time at Houston and Arizona as a strength and conditioning coach and working with the football performance program. 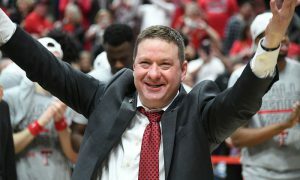 With the small sample size of him coaching, I am not sure what to expect from Brian but his stint at Washington State with Grinch certainly played a key factor in his hiring. 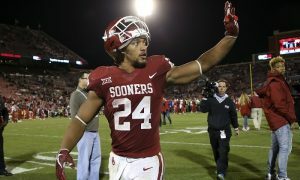 Outside Linebackers: Ruffin McNeill– Ruffin has been on the staff since the 2017 season coaching the defensive tackles and most recently being the interim defensive coordinator after Oklahoma let go of former defensive coordinator Mike Stoops. Ruffin goes way back with Lincoln Riley from his days at Texas Tech and gave Lincoln his first offensive coordinator job when he was the head coach at East Carolina. Ruffin has plenty of experience coaching and him not having to worry about the entire defense is probably a good thing. Corner Backs: Roy Manning– Roy first started coaching on the defensive side of the ball back in 2013 at Michigan where he coached the outside linebackers and in 2014 switched to defensive backs coach for the Wolverines. After that, he spent time with new DC Alex Grinch on the Washington State staff (2015-2017) coaching outside linebackers before his lone season at UCLA this past year. From what I have heard, Roy is a fiery guy and has plenty of recruiting ties due to his previous stops on the west coast. This was a group that was a glaring weakness for this team last season and without a doubt, Roy has his work cut out for him. Now that I have went through the rest of the staff, there is only one man remaining that I haven’t talked about much and that is of course new defensive coordinator Alex Grinch. Grinch has been coaching at the collegiate level since 2002 and up until 2004, he was a grad assistant at Missouri where his uncle (Gary Pinkel) was the head coach there. From there he ventured off to New Hampshire (2005-2008) and Wyoming (2009-2011) as the secondaries coach. After his stint at Wyoming, Alex went back to Missouri but this time as a safeties coach from 2012-2014. After the 2014 season, he got his big coaching break becoming the defensive coordinator at Washington State from 2015-2017. His last stop before arriving in Norman was in Columbus, Ohio where he was the Co-Defensive coordinator for the Buckeyes. 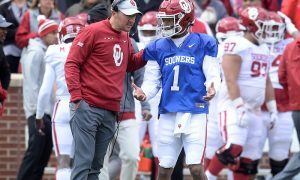 I think it is clear the he has moved up in the ranks of the coaching world and his relationship with Mike Leach helped play a huge factor for Lincoln Riley to bring him in to Norman. Once again, the Mike Leach coaching connections continue to play roles in the Big 12. While all this background info on the staff and Alex Grinch are nice, it wouldn’t be complete without looking at what Grinch has done during his tenure as a defensive coordinator. You can be skeptical of the hire, and that’s fair because no matter if Lincoln Riley hired Nick Saban as his defensive coordinator, some people still wouldn’t like it. As I have learned, it is IMPOSSIBLE to make everyone happy. Like it, love it or hate it, here are the cold hard facts (and stats) about Alex Grinch as a defensive coordinator. Here are the stats during Alex Grinch’s tenure at Washington State (2015-2017) and the season before he arrived (2014). What this chart tells me is that Alex Grinch knows how to coach a defense. You may be asking yourself what about 2018? Alex was Co-Defensive coordinator at Ohio State and when I compare this past season to the chart above, it doesn’t make sense (93rd in Total Defense) but the Buckeyes were ok in points allowed averaging 25.7 points allowed per game. However, I am not going to look into one season too much and considering he was sharing the duties with someone else, he wasn’t in full control this past season in Columbus. With that argument in the rear view, look at that chart. His defense got better all three years during his time at Washington State. From points allowed to total defense, it was a night at day change for the defense. 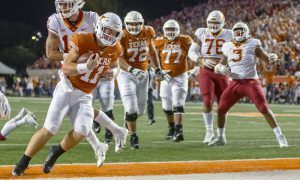 Think about it, before Grinch got there the Cougars were allowing 38.6 points per game and were 98th in total defense. By the time he left, they were 13th in total defense and allowed just 24.7 points per game. You know what is crazy about all this? Washington State by no means had the caliber of athletes like traditional blue bloods and yet still found a way to be successful on defense showing improvement throughout his time there. If he can do that at Washington State, why can’t he have a top 30, 40 or even a top 50 defense at a school like Oklahoma? 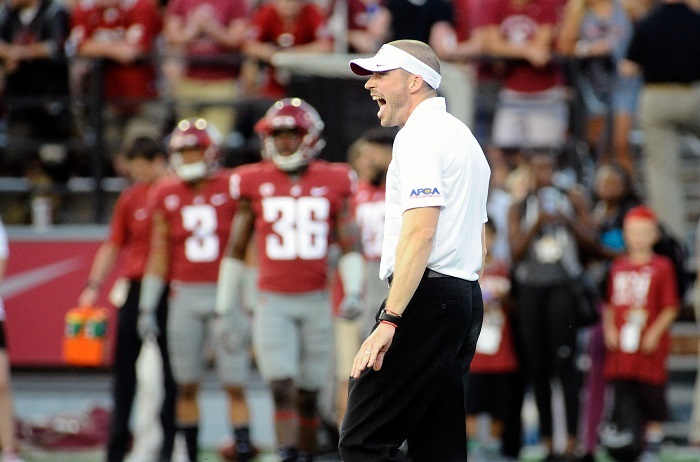 The school practically sells itself on the recruiting trail and he will have a lot more talent to work with now compared to his first stint as a defensive coordinator at Washington State. Now is it fair to expect a top 30 defense immediately? I wouldn’t hold my breath on that, but the biggest question is will we see improvement from year to year? His track record says yes but unfortunately, we will have to wait a little while before anyone can fairly answer that question. 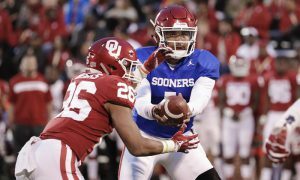 There has been only one thing that has kept the Sooners out of the national title game the past two seasons and that is of course the defense. 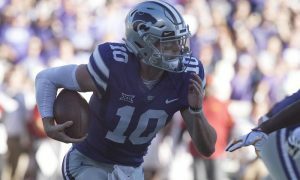 It could be very possible that Alex Grinch could be the final piece to the puzzle as this program will try and win their first national championship since 2000.